President Muhammadu Buhari’s Senior Special Adviser on Media and Publicity, Garba Shehu said there were lots of confusion in the publication. 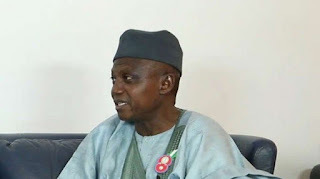 Appearing on THISDAY sister television station, ARISE Television’s News Tonight at the weekend, Shehu stressed that the book should never have been written in the first place. According to Shehu, “I have read online that some of his former ministers have come out to say that they never said he must not hand over. “And of course, we have seen some statements coming from him. So, we have seen a lot of confusions in the publication. “And then, was that what he was set out to achieve? I am not sure that anyone will write a book simply to cause confusion.